With a total of seven Emirate cities, the UAE or United Arab Emirates is a country which is the most popular tourist destination amongst other Middle Eastern countries. As a country with one of the largest oil and natural gas reserves, UAE is one of the richest countries in the world. This has brought a lot of growth and development in the Emirate cities. However, this has not shaken the traditional, religious and cultural roots of the city in any way. This diversity of modern and traditional is what makes UAE an attractive tourist destination. Hence, you must visit this place at least once in your lifetime. Dubai and Abu Dhabi are the two major Emirate cities and the places where most tourists go. Apart from this, there are several other places in UAE that you must visit. With this note, we will take a look at the most popular places in the UAE. Burj Khalifa: UAE is home to the tallest building in the whole world. Located in the Emirate city of Dubai, this building is a true architectural wonder. 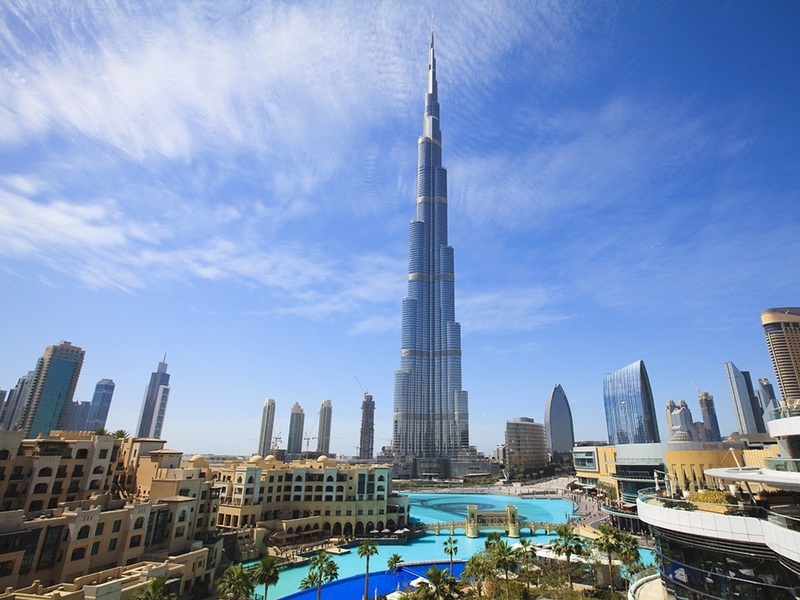 Standing at the height of 829.8 m, the Burj Khalifa has 163 floors in total. But the specialty of this building does not end here. This building also has the fastest elevator in the world. All these things make it an important place to see. While the sight of the building standing tall amongst the other buildings is in itself breathtaking, do not miss the opportunity to take a look inside. You can also take a look at Dubai from its viewing deck which is on the 124th floor. Ferrari World: Are you someone who loves speed and adventure that gets your adrenaline going? If yes, the Ferrari World in Abu Dhabi is a place you must visit. Home to the world’s fastest roller coaster, The Formula Rossa, the Ferrari World is a dream come true for F1 lovers who get to ride on a vehicle that drives at the speed of 240 hour per km. Apart from this, there are several other rides that would interest people who like the feeling that speed gives. Hatta Mountain Safari: The Hatta Mountain safari is exciting as well as interesting. The Hatta Mountains are located on the borders of Abu Dhabi. This tour combines desert safari with mountain trekking. This safari tour includes a trip to the Hatta Heritage Village, where you can view the old fort as well as the village and understand the culture, heritage and traditions of the tribe. This is followed by the regular desert safari which includes dune bashing, camel riding, etc. Dubai Museum: The Dubai Museum is a place you must visit if you want to know about the history, culture and background of Dubai, before it became the ultra-modern city it is today. Located inside the Al Fahidi Fort (the oldest building of Dubai) in Bur Dubai, the museum is a place where everything about the lifestyle of ancient Dubai has been preserved. Visit the Dubai Museum if you want to see the awe inspiring growth of UAE. Emirates Palace Hotel: Situated in the capital city of Abu Dhabi, the Emirates Palace Hotel is a seven star hotel which exactly looks like a palace. Be its palatial size or structure or the lavishly done interiors, the Emirates Palace Hotel is absolutely stunning. The private beach, the huge carpets, the innumerable crystal chandeliers, everything makes this hotel look palatial. Dubai Mall: If you are in Dubai, UAE, do not miss the chance of visiting the largest mall in the entire world. With the size of around 13 million square foot, this mall has almost 1200 shops. Other than this, you also get to enjoy walking through an aquarium and an underwater zoo situated inside this mall as well as trying a hand at ice skating at the Dubai Ice Rink. When you are tired of walking through the lengths of the mall, do visit some of the cafes or restaurants outside the mall from where you can view the beautiful fountain as well as the wonderful fountain show too. 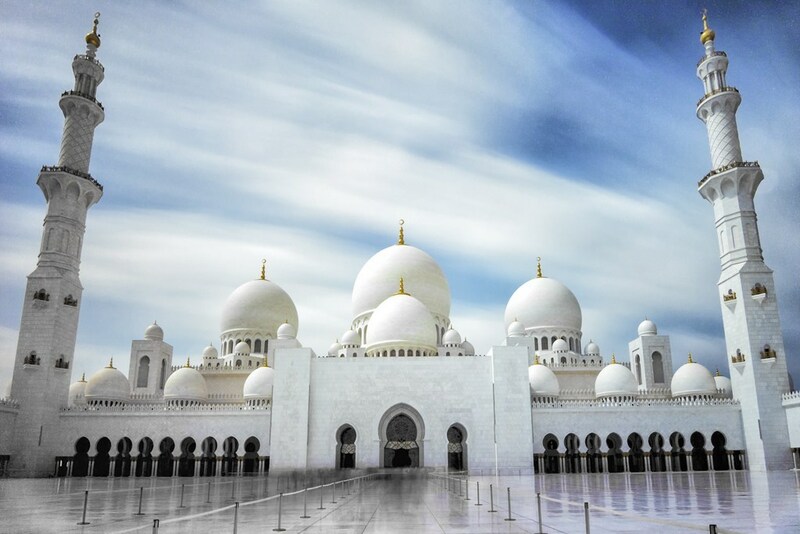 Sheikh Zayed Grand Mosque: The Sheikh Zayed Grand Mosque is the biggest mosque in UAE. Apart from the size of the mosque, which can hold at least 40,000 people, is a beautiful symbol of Islamic architecture. Used for Friday Namaaz every week, the Grand Mosque is open to visitors all other days of the week. It is a must visit place for anyone visiting the UAE as it holds some marvels that you would never be able to see anywhere else. The Grand Mosque holds the biggest carpet as the biggest chandelier that is full of Swarovski crystals. Apart from the above provided places in UAE, there are several other places that you should go at least once in your life time. The Fujairah Fort, Burj Al Arab hotel, Jebel Hafeet, the Corniche, the auto museum, etc. are also some of the great places of this country. UAE offers some of the most unique places and experiences which you would never find anywhere in the world. By – Shaileja is an avid reader and loves to travel extensively. She love to reading books, travel, cooking and inspire people to find their career goals and to live life to the fullest.